An astonishing 700,000 microfibres – threads of plastic the size of an ant’s leg – leach out of an average 6kg wash of acrylic clothing. And research by Brunel University London shows this plastic pollution has travelled at least as far as Britain’s farms. The team behind BBC’s Countryfile, one of the nation’s most popular TV programmes, turned to Brunel ecotoxicologist Dr Chris Green to investigate whether microplastics – microfibres and other small plastic pieces – are present in biosolids: sludge from waste water treatment that’s been pasteurised so it can be spread onto farmland as a fertiliser and soil improver. 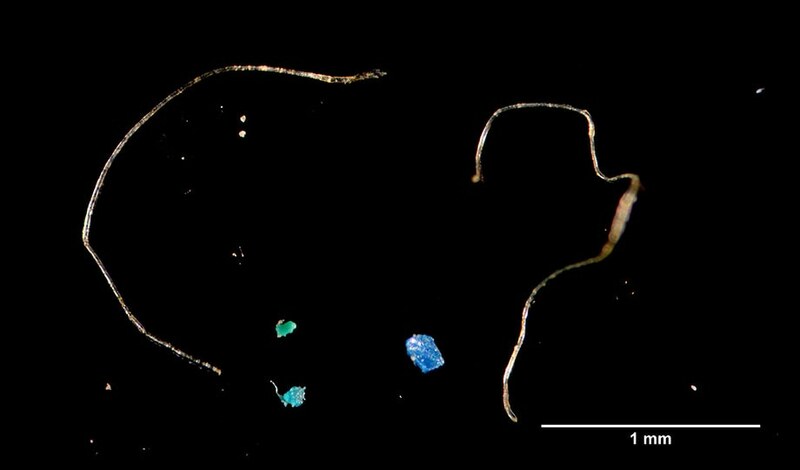 Although plastic microbeads used in cosmetics have made the headlines in recent years, microfibres may be a more significant but poorly understood part of the microplastics problem. With our laundry’s waste water discharged into the sewage system, it’s important to track where this domestic pollution ends up. In the episode aired on Sunday 21 May, Countryfile reporter Tom Heap joined Dr Green for a demonstration of a simple technique that separated microplastics from the organic material in biosolids – and then confirmed that they were indeed plastic with the help of Brunel’s Experimental Techniques Centre. The laboratory sequence used by Dr Green, a post-doctoral research fellow in Brunel’s Institute of Environment, Health and Societies, was funded and set up by the Plastic Oceans Foundation, which is at the forefront of thinking about plastics in the environment. Jo Ruxton, UK CEO of the Plastic Oceans Foundation, commented: “The presence of so many microfibres in the biosolids sample is both shocking and sadly not surprising. “Prevention is always better than cure, so the Plastic Oceans Foundation is working to stop this plastic being released into the environment wherever possible, right back to the source of the pollution. “We’re asking washing machines manufacturers to prevent microfibres being washed away into our rivers, and synthetic clothing manufacturers need to improve their fabrics. Ultimately, we aim to influence business and governments on the actions they need to take to protect the environment. Dr Green added: “We don’t yet know the significance of microplastics in biosolids for land-based ecosystems. Given that their presence is likely to be widespread, the next step is to investigate further in collaboration with the UK water industry.